Let L and M be zero-dimensional frames. It is shown that concerning the Banaschewski compactification ζ, a necessary and sufficient condition for the canonically induced frame homomorphism hL,M : ζL ⊕ ζM→ζ(L ⊕ M) to be an isomorphism is given in terms of the tensor product of the rings of all bounded integer-valued continuous functions on L and M, respectively. This provides the integral counterpart of A. Hager’s work (Math. Zeitschr. 92, 210–224, 1966, Section 2.2) in the setting of frames. 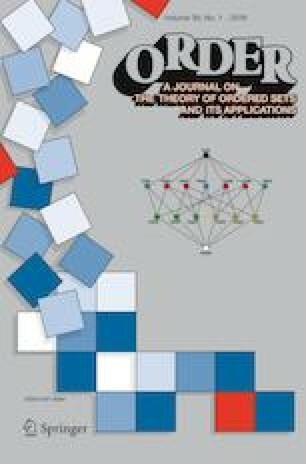 The author would like to thank J. Harding for his valuable suggestions and B. Olberding for his helpful discussions on the spatial frames in Corollary 4.8. He also wishes to express his warmest thanks to the referee for a number of detailed helpful comments.